The Manoula is a safe and convenient home use medical device. The Manoula accurately measures the quantity of breastmilk consumed by an infant, relieving the mother’s anxiety, providing measurable data to parents and practitioners. The device slides easily into a pocket in a customized onesie worn by the infant and transmits the data via Bluetooth technology. Each year, approximately 3.3 Million mothers initiate breastfeeding; of those approximately 50% stop breastfeeding within 2 weeks. The Surgeon General’s Call to Action to Support Breastfeeding in 2011 identifies anxiety that their baby is not receiving enough milk as one of the major reasons that mothers cease breastfeeding in the first few weeks. Breastfeeding has numerous benefits for the health of the mother and infant and is a major initiative in infant health programs both nationally and globally. Devices that build mothers’ confidence in their ability to nurture their child, and provide accurate data for practitioners, are critical in increasing the prevalence of breastfeeding. The Manoula device is a non-invasive sensor that uses proven safe technology to accurately detect the volume of milk an infant ingests during breast feeding. The device slides easily into a pocket in a customized onesie worn by the infant and transmits the data via Bluetooth technology. The Manoula device is an in-home-use medical device that allows mothers and providers insight into an infant’s consumption of breastmilk to relieve anxiety and for professionals to provide appropriate support to mothers to promote optimal breastfeeding. Mom Sense, Milk Sense, and Hatch Baby all have products that are in the space of quantifying infant breastmilk. These companies produce devices that are cumbersome or invasive to use and less accurate. 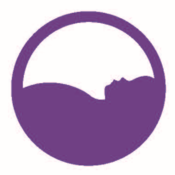 The Lactation Innovations’ Manoula device provides superior accuracy due to medical grade sensor technology; comes in a less cumbersome package; and does not require adhesives, calibration, or other preparation for use. In addition, the Manoula will receive FDA approval for at home use. The global baby care market in 2018 is approximately $73.8 Billion. The global breastfeeding market was 1.2 Billion in 2016 and is expected to be $3 Billion in 2025. The Manoula is an affordable breastfeeding accessory which will provide support and peace of mind for women as they begin breastfeeding. The Manoula device will be sold at retailers as well as on a business to business basis to baby friendly hospitals, midwifes/OBGYNs, and Lactation Consultants.